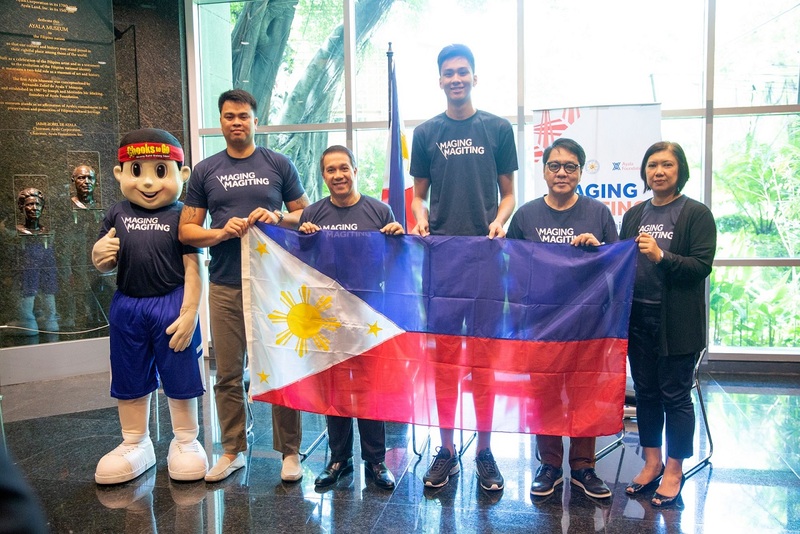 7-foot-2 basketball prodigy Kai Sotto receives a Philippine flag from officials of #MagingMagiting campaign partners, Bounty Agro Ventures Inc.
Kai will spend the next two years in the United States to continue training towards his dream of becoming the first Filipino to play in the NBA. Bidding him good luck in his quest are BAVI president and general managerRonald Mascariñas (2nd from right) and AFI president RuelMaranan (3rd from left). Joining them are AFI corporate communications senior director Celerina Rosales-Amores and Kai’s father, Ervin Sotto.